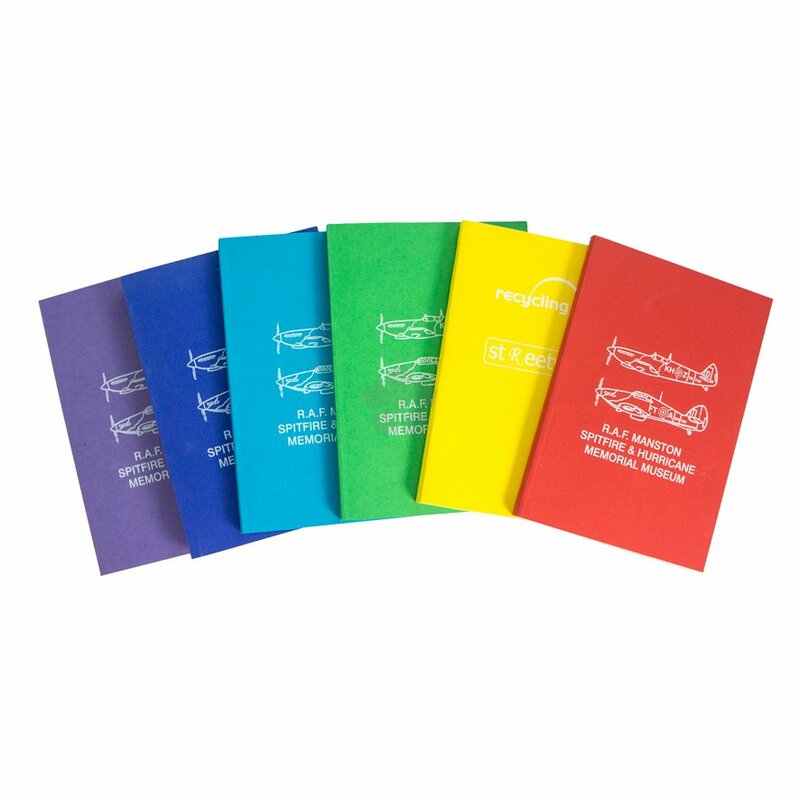 With a recycled coloured card cover made from 100% recycled card and approximately 75 sheets of 80gsm 100% recycled plain paper. Manufactured in the UK. Eco friendly - recycled card and paper. 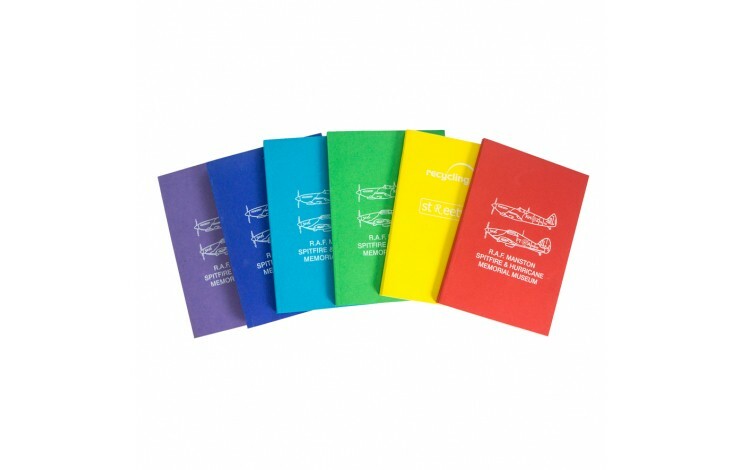 Yellow, Purple, Red, Dark Blue, Light Blue, Green.